If you’ve ever watch a crime procedural television series, you’re familiar with the scenario where a grainy photo from a security camera is “enhanced” in the lab and voila! It becomes crystal clear. How do they do that? Well, actually they don’t. There’s no magical way to take a small, blurry image and make it bigger while improving the image resolution. There are techniques, however, for making photos old or new look their best. Let’s start with a quick definition of resolution, as offered by Wikipedia: “Image resolution is the detail an image holds. The term applies to raster digital images, film images, and other types of images. Higher resolution means more image detail.” And the more details, the more that can be done to manipulate an image. Our graphic designers use a combination of tools to improve things like image brightness (or lack thereof); flaws or damage (such as yellowing of an old photo); touch-ups of faces; and/or color correction. If we are able to work from the original print photo, the results can be striking. Unlike the pics you take on your phone (or those security camera snaps on CSI), print photographs have a high amount of detail that allows us to increase the size of the final print product. As you can see, the photo has damage on the left side and is very dark overall. 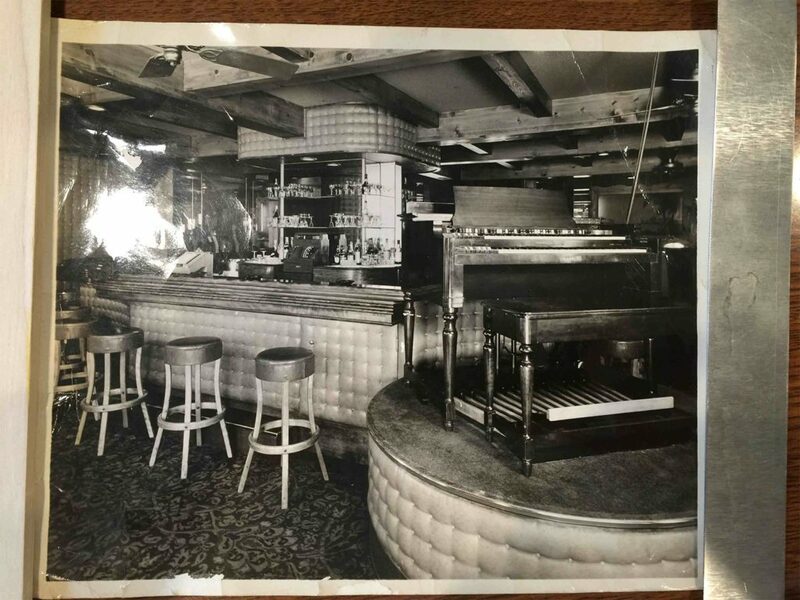 It’s hard to make out any detail in the bar area, or even tell what, exactly, is on the right-hand side. 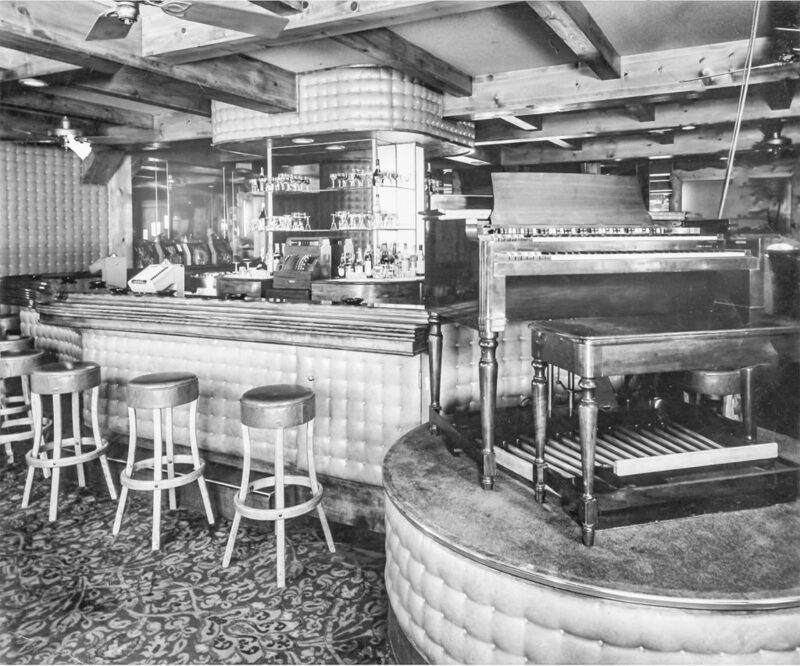 Now you can really see the details of the upright organ, the pattern of the carpet, and the bar area. Needless to say, our client was thrilled with these results and hung a version of the re-touched image on their wall among other photos that also capture the restaurant’s roots. If you have a photograph you’d like to have enlarged or enhanced, we recommend working from the original source material, thus ensuring the best image resolution. Our team will handle your object with great care as we work to achieve your printing goals. Digitally printed and professionally mounted vintage photos can make a great gift for family or friends. Contact us today to learn more!